The unemployment rate of Wayne County has followed historical trends nationwide but has generally remained higher than the average Indiana unemployment rate. 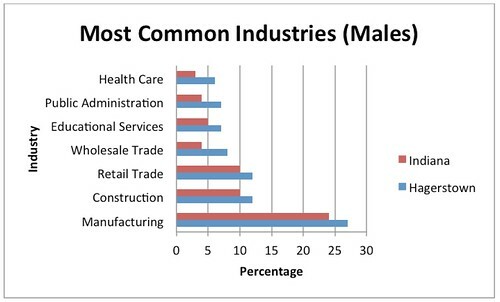 Indiana averages have been affected by economic recessions to a lesser degree than Wayne County, which can be explained by the high percentage of workers employed in retail trade and manufacturing; these sectors are generally responsive to larger economic conditions and therefore would experience a greater setback from an economic recession. This may show a need to diversify the employment base in Wayne County and in Hagerstown to avoid high unemployment during future economic recessions. 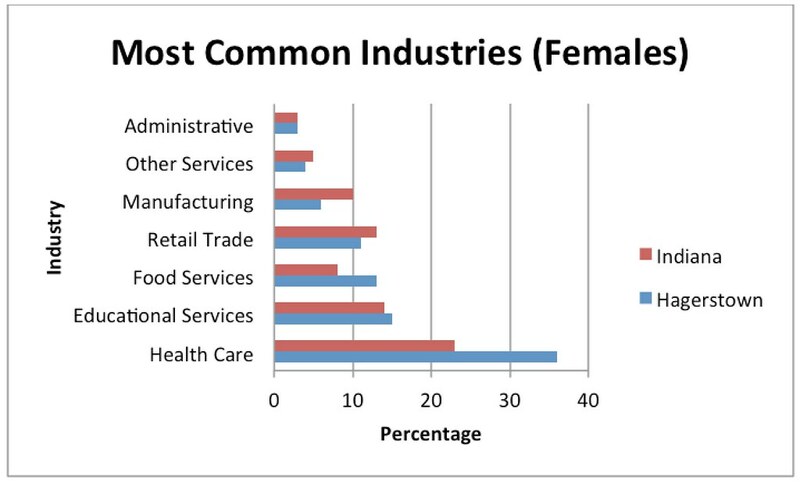 The following graphs show the Most Common Industries where Hagerstown workers were employed during the past four years. It can be seen that over 50% of employed men who live in Hagerstown worked in manufacturing, construction, or retail services. 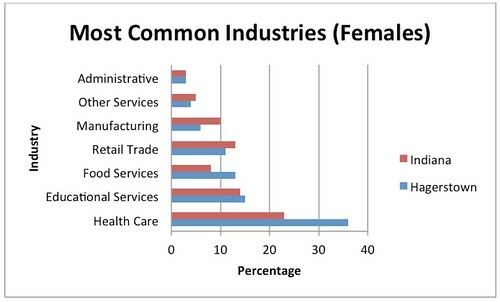 The following graph shows that 50% of the employed women who live in Hagerstown worked in either Health Care or Educational Services. Workers in Hagerstown have shorter commutes than the average worker in the State of Indiana. 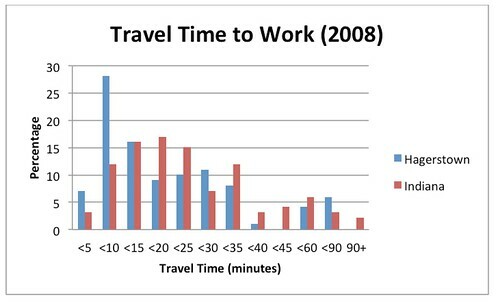 The following chart shows commute times from 2008. 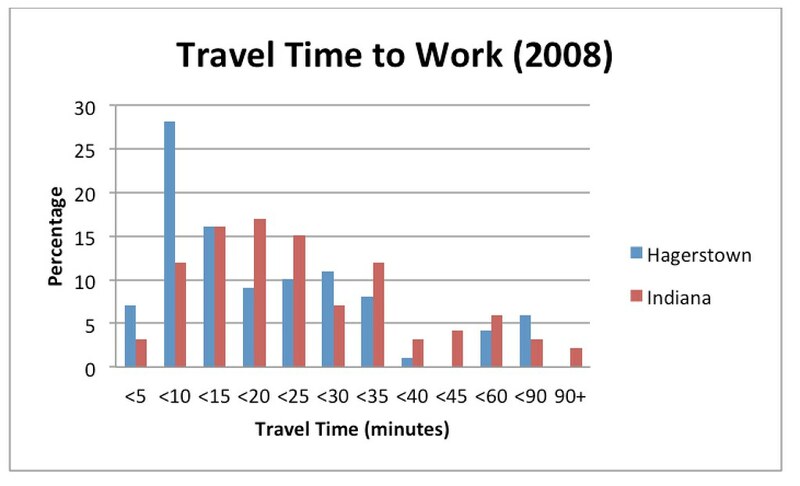 The commute for over fifty percent of the workers is less than 15 minutes.